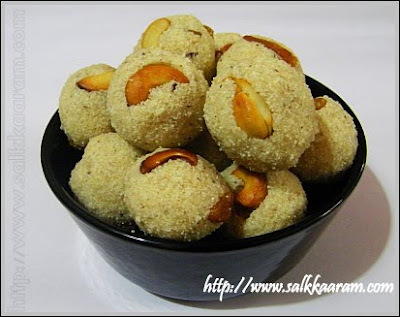 Rava Ladoo | Simple and Delicious ! This is a pachakam.com recipe. You can find the original recipe here. Actually I wouldn't try much sweet recipes. But this one is very easy to prepare. A simple and delicious one! This is very easy to prepare. 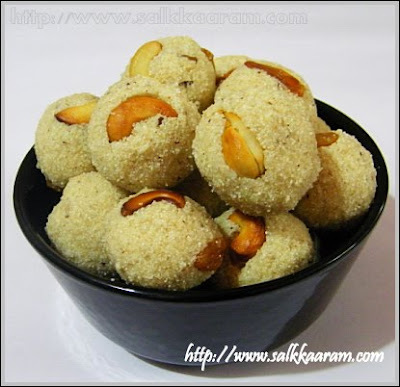 Give a try..
Before making balls, kids start eating.. Send me your address..adutha birthdaykku ayachu tharam ketto..
i love rava laddo!! thanks for the recipe.